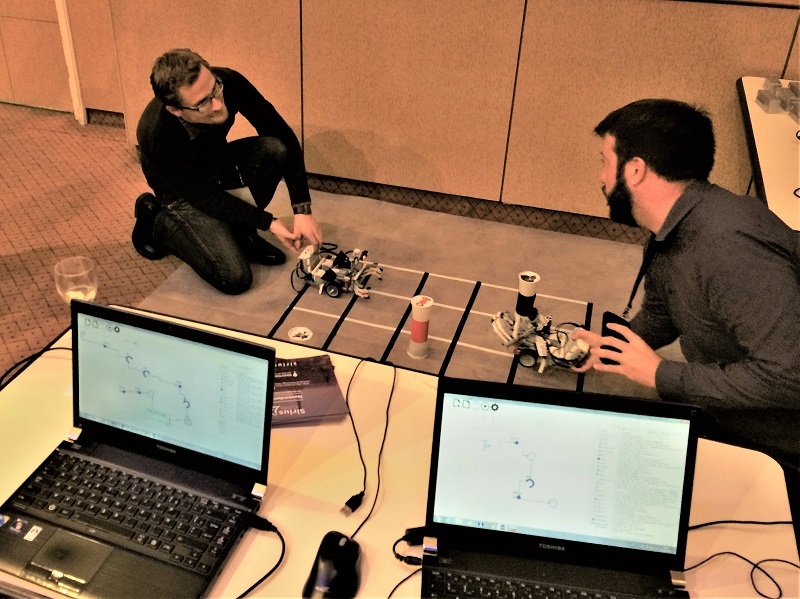 After being presented for two years in many conferences and schools, the Sirius tutorial based on the Mindstorms Robot case-study has been made publicly available on the Sirius wiki. 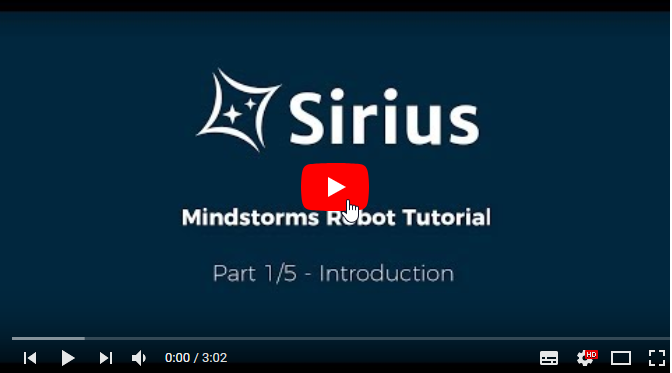 This tutorial explains how to use Eclipse Sirius to create a graphical editor for piloting a Mindstorms Robot. 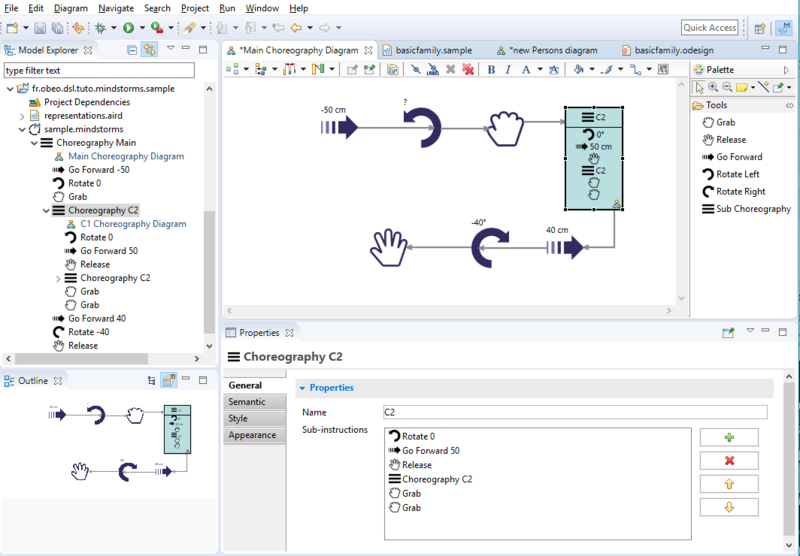 The graphical editor allows to describe a sequence of instructions (going forward, rotating, grabing or releasing an object). This is a simplified version of a Mindstorms modeling tool initially created by Mélanie Bats and Axel Richard in 2016 for Obeo’s 10th anniversary. This tool spiced many of our events up with robots fighting parties: two players could graphically design the best sequence of instructions for their Mindstorms robot to grab the maximum of objects on a playground. With Julien Dupont, we decided to reuse and simplify this modeling tool for the Sirius tutorials that we regularly present during conferences (EclipseCon, SiriusCon, SiriusDay, Models, etc) and teach in software engineering schools. If you are an academic teaching Model-Driven Engineering, you can contact us if you are interested in reusing this tutorial for your own courses. We can also provide you the complete modeling tool which includes the Acceleo generator that produces the Java code executed by the Mindstorms Robot. Frederic is Marketing and Products Manager at Obeo. 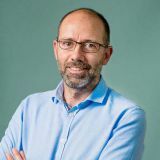 He has 20 years of experience in developing model-driven tools to industrialize the development of new applications and the modernization of existing systems. What’s Coming in Sirius 6.0? Obeo provides open software solutions to create and transform complex systems: industrial systems (avionics, space, defense, energy, transportation, etc. ), IT applications, digital transformation of large companies. As major Open Source player, Obeo is a strategic member of the Eclipse foundation (alongside IBM, Oracle, SAP, Google) and a member of The Open Group.